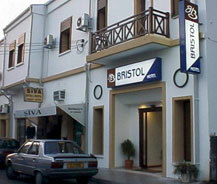 The Bristol Hotel can be the best choice for you in North Cyprus. It's located in the center of the Kyrenia City which is 44 km away from the Cyprus Airport. It's one of the historic and prestigious hotel in the city with 18 rooms. All rooms are provided with air conditioners along with the bath showers and other preliminary services. You will feel like at your home at the moment when you enter the hotel. It is built in such a way that the travelers can enjoy their privacy with its calmness and pleasant environment. The Bristol Hotel is placed very near to the shopping centers with a very good car parking facility. Cost for double and single bed rooms are setted to fit every budget. This hotel is famous for its delicious and tasty breakfast and the best thing is that the hotel management provides the breakfast to the visitors free of cost. Online and any other form of pre-booking is available. All the tourist spots are very near to the hotel and the hotel authorities help you in getting a nice reliable cab for your trip. So there is no need to get panic even if you are new to Cyprus. The cab arranged by them is very reliable and fits to budget aswell.